Why Are People So Tough? I love animals and have decided to have more contact with horses, those majestic, gentle beasts. It’s a privilege to be in their company. 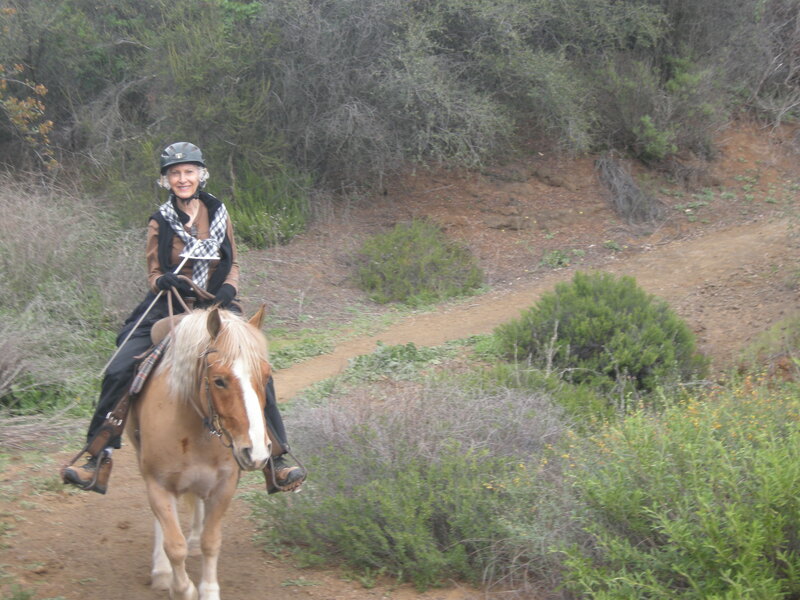 Here I am horseback riding. In my case it’s more like horseback walking, but, hey, I’m up, moving forward and surrounded by nature. What could be better? NEWS: I’ll be giving an author talk/book signing for my memoir: Adventures with Dad: A Father and Daughter’s Journey Through a Senior Acting Class this Sunday, July 27, 2014, 12:30pm, at Maria’s Italian Kitchen, 16608 Ventura Blvd, Encino, CA 91436. Complimentary appetizers and soft drinks/coffee/tea will be served compliments of the restaurant. They will also give a 10% discount to any diner who has a copy of my book at their table. Click here on Maria’s Facebook page to read about my book talk: https://www.facebook.com/events/715944768496077/ I hope to see you there. Tough! Strong! Aggressive! Angry! As a child in junior high school, it was a big deal who was the best at put-downs–verbal violence, kill or be killed. Where do kids learn that–at home, in the community? One thought: sports are games of aggression, even seemingly innocuous ones like board games or chess matches, not only for the players, but also for the spectators. As we watch, we are whipped (a very aggressive verb) into a frenzy of excitement. We want to see pain; blood is even better. Athletes are our avatars. They do what we can’t do for ourselves: vanquish, destroy, win. A few weeks ago, I heard a radio report about the running of the bulls in Spain. It’s a prelude to the bullfights, one of the cruelest of modern-day sports. I attended a bullfight in Mexico about 40 years ago, not having any idea what I was actually going to see. Observing the audience was as eye-opening as the bullfight event itself. Whole families were in the stands from grandparents to toddlers to witness the spectacle. They had picnic baskets to dine while being entertained by the ceremonious goring of the bull with spears to weaken it for the eventual kill by the matador. This is just a continuation of the ancient, public gladiator performances where someone’s death was the prize, I thought. I recently read about the proliferation of elephant poaching to harvest their tusks for the lucrative world market in ivory. There was a description in the article of a baby elephant that was taken to a village and tied to a post as a toy for the local children to torture. What is this phenomena all about–teaching children how fun it is to torture a helpless animal, and perhaps by extension another human being? The old “nature vs. nurture” puzzle still puzzles: Is cruelty inherent in human nature, or do we teach it? If the latter is predominant, why? People don’t have to thrust the bullfighter’s sword to be cruel. They can do it very subtly. They can snub others; they can post mean social media comments; they can one-up each other, and on and on. We think we’re so civilized, sophisticated. How does aggression and cruelty jibe with that? Do we get better perks in life being aggressive or cruel? Are we happier? If you want to be notified when I post a new blog, click on the “Follow” button in the upper right corner of this page and fill in the information. To read my other blogs, scroll down or click on “Recent Posts” or “Archives” under the Follow button. Please pass my blog along to anyone else who might be interested. 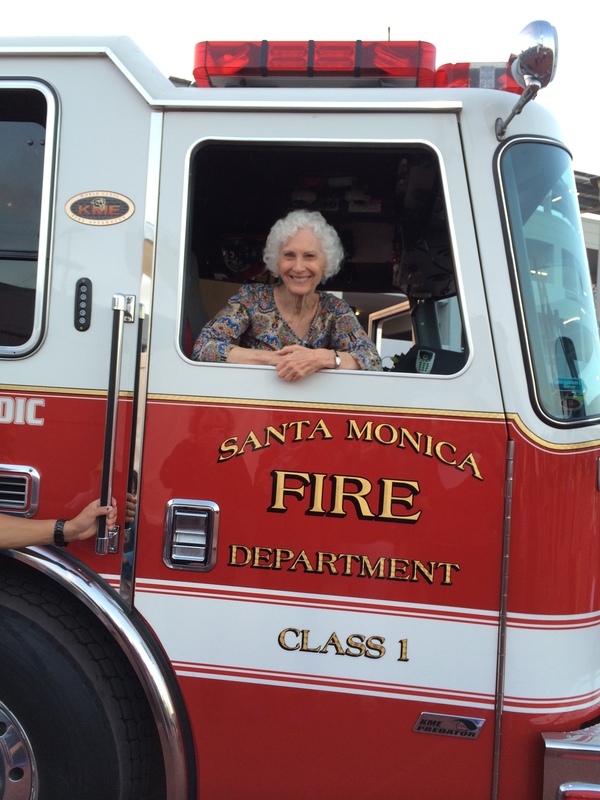 Here I am having fun in a fire truck. It may have been for the kids, but I jumped right in! A friend commented recently that in my writing I seem to understand and express so much about human nature, and she wondered how I was able to do that. I told her that I had learned a lot about the human condition from my probationers when I was a probation officer for 37 years. They often revealed their feelings to me, probably because I wasn’t a part of their personal lives, and they felt safe in doing so. That helped me understand my own fears, joys, frailties, goals, desires, and on and on. I’ve always been introspective, and that’s probably why I was drawn to a job working intimately with people. It’s only been a handful of years since I discovered that when I write, thoughts, feelings, and emotions spring forth that I didn’t even realize I had. Writing is an incredible process for revealing yourself to yourself. Even those who write fiction insert so much that is personal. As I’ve mentioned in a prior blog, that’s why therapists recommend their clients keep a journal. We each think we’re unique, and we probably are in small ways. However, I believe that life’s processes are universal; most of us have had the same experiences in one form or another. I like sharing my own personal discoveries, because if I’m able to help a fellow traveler on this planet, I feel satisfied and that I’m giving back to the community. Someone else asked me why I reveal so much about myself in my writing. I had to think about that for awhile, but here’s my answer. At this stage of my life, I’m trying to confront and overcome the things that have controlled me for so many years, and I have used my blog as well as my published memoir, Adventures with Dad: A Father and Daughter’s Journey Through a Senior Acting Class, to do that. So, my motives aren’t totally altruistic–are anyone’s? I get a payback by passing along my thoughts to others. You might, too. If you want to be notified when I post a new blog, click on the “Follow” button in the upper right corner of this page and fill in the information. To read my previous blogs, find them just under the Follow button entitled “Recent Posts” or “Archives.” Please pass my blog along to anyone who might be interested.